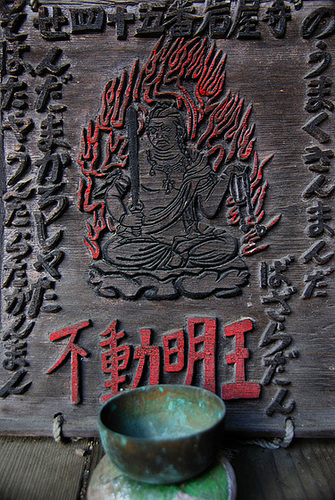 Iwayaji 岩屋寺 Temple Iwaya-Ji . 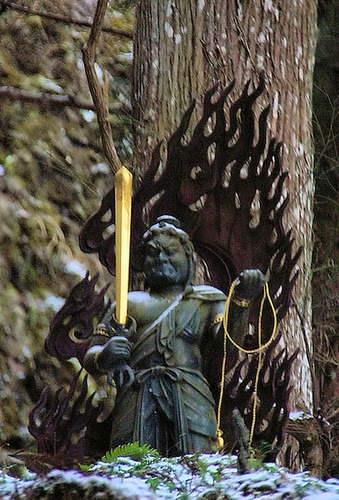 Fudo on the way to the innermost sanctuary, Oku no In 奥の院 . 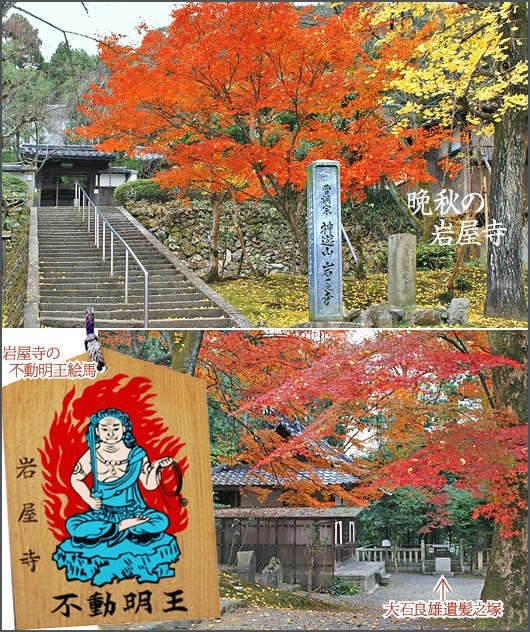 Legend states that the temple was donated to Kōbō Daishi by a mysterious female recluse named Hokke-Sennin. 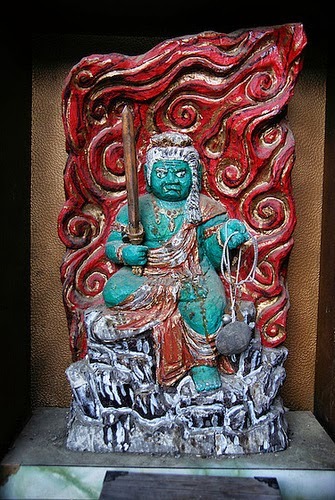 Was she a shamaness or just a woman well advanced in Buddhist training? 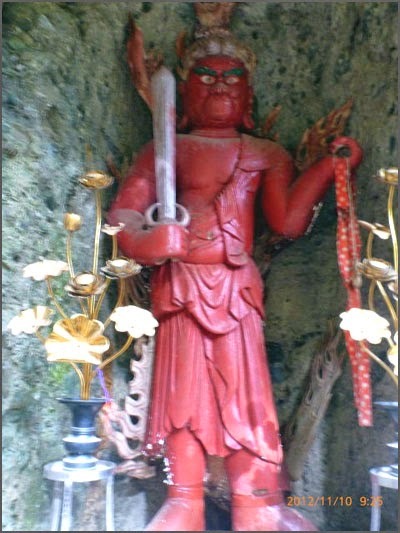 Kōbō Daishi carved two statues of Fudō, one in stone and kept in a cave at the rear of the temple, and the other in wood and enshrined in the hondō. 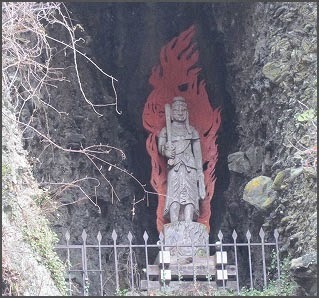 By keeping the stone statue in the cave, Kōbō Daishi ensured that the entire mountain needed to be worshipped in order to worship the statue. 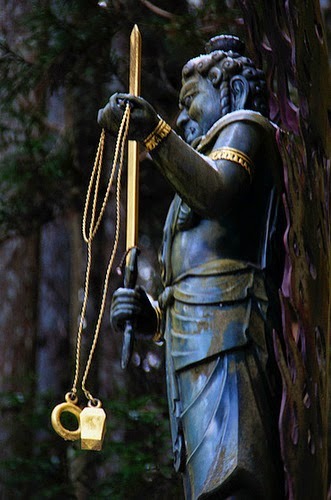 This way the mountain remained sacred, just as it had been in Shintōism. 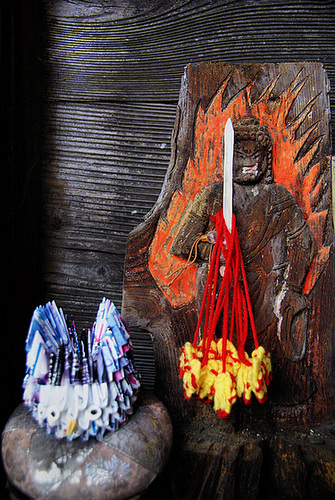 Over time, every nook and cranny of the mountain became sacred and every rock and slope became part of the sacred object. 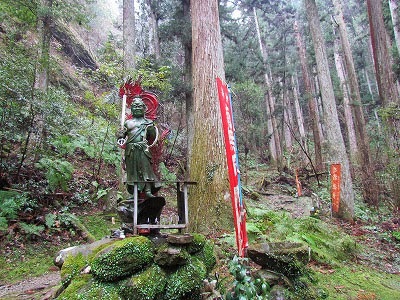 This temple is one of the nansho of Ehime Prefecture and is one of the sites where mountain recluses and wandering holy men once performed their religious disciplines. 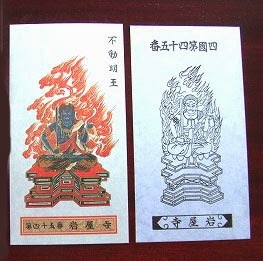 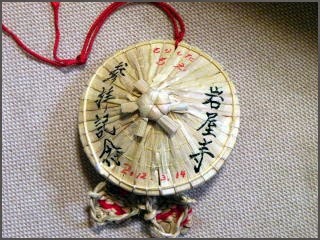 They are sold in the hall dedicated to Kobo Daishi.